Sara joins Vive with extensive experience in working with adolescents and families. Prior to coming to Embark, Sara worked at a residential treatment center in Chicago as the Spirituality and Christian Program Coordinator, where Sara oversaw spirituality programming across campus and supervised and trained the individual and family therapists on the Christian team. Sara also provided family and individual therapy at this treatment center. Sara has also worked as a family therapist in the Chicago area where she specialized in multi-systemic therapy for adolescents and their families who were part of the juvenile justice system. Prior to pursing further education and training in clinical psychology, Sara spent several years living and working in Asia. Sara earned her undergraduate degree in family psychology from Oklahoma Baptist University and her Master’s degree in clinical psychology from Wheaton College in Illinois. She is a Licensed Professional Counselor in Missouri. 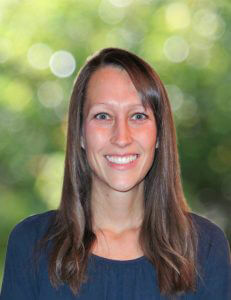 Sara is a member of the National Board of Certified Counselors (NBCC). Sara lives in Springfield, Missouri, and enjoys spending time with her family and friends, and being outdoors when she isn’t working.